A quick Google search on Lisbon tours makes me dizzy. I imagine how people traveling to the city for the first time must feel. Do you want to do every possible available tour in Lisbon? Or should you narrow down the list to tours that cover your interests? Should you walk or should you hire a tuk tuk? As much as I appreciate the interest of every single tourist stepping on our cobblestoned, black and white sidewalks, I get anxious when I see a tour group with more than ten people squeezing their way through the alleyways of Alfama. The usual reminder: Tripper is not a blog for the masses. Readers who find Tripper are looking for ways to minimize their negative impact while traveling by supporting the local culture and the local economy. 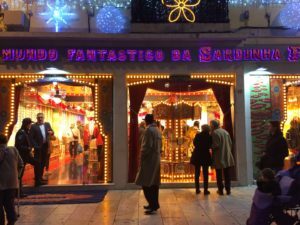 Therefore, I will not list every single possible Lisbon tour on the market right now because not all fit the blog’s message. What makes a tour in Lisbon sustainable? In a nutshell? One that isn’t free, that doesn’t impact in the locals’ mobility in the city, and that has a positive impact on the local economy. 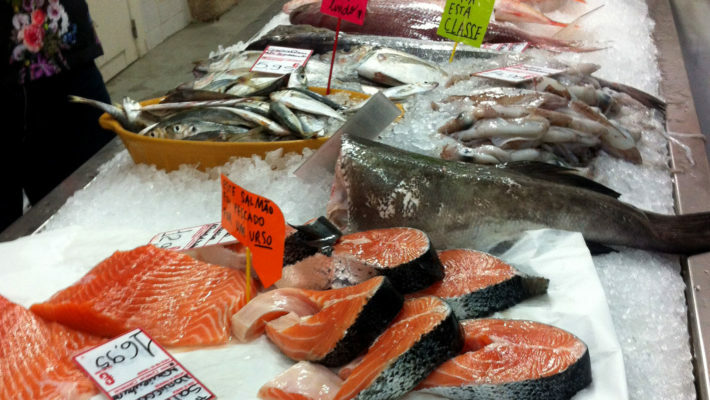 This is basically what makes a sustainable tour in Lisbon and any other European city. I don’t like to call them rules, but here are some guidelines or questions you can ask yourself before you narrow down your list of Lisbon guided tours. Before saying no or yes to a free tour, find out if it’s a regular gig or a one-time-off event. For example, it’s not unusual on special occasions for a museum or a city tourism association to organize a free tour to celebrate that date. It’s okay to participate in one if you’re in town at that time. These tours will typically show up as a Facebook event. The other kind of free tours I typically advise against, are the ones advertised by dozens of guides strategically placed in typical touristic spots. They usually hold an umbrella or wear a t-shirt that says free tours and has a flag of what language they’ll be speaking. Impromptu tourists show up, wait for more people to join the group, go on the tour, and tip the guide in the end if they liked the tour. Now, to be fair, I’ve never heard of a guide who hasn’t been tipped at the end of the tour. But that’s not my pet peeve about free tours. My concern is that if you choose to go on a free tour, you’re perpetuating a business model which is not sustainable. Not to mention how big the groups have to be to make it worthwhile for the guide. If you want a service, you pay for the service. Period. If you want something for free, you do it yourself. This one is not an easy guideline to follow, I admit. And probably most people don’t nail it on the head until they’ve visited the same place more than twice. However, most tourists only travel to one place once, unless they have a vacation home on their destination. As much as supporting local businesses seems like a pretty straightforward thing to do, you’re always at risk of getting on a tour that partners with tourist traps. I also don’t want to spark a discussion on what makes a local business local. So, the rule of thumb is to read the description of the tours carefully to find out if they mention any stops at cafes, grocery stores, or restaurants for refreshments, and which ones. If nothing is mentioned, ask. The more details you have, the better you choose. The stop should be beneficial for both the business and the tour-goer. Stopping for food or water? Yes, it makes sense. Stopping to buy souvenirs? Not so much. Should all your tours in Lisbon be done on foot? Well, of course not. The mobility issue here is, how does your action (going on a tour) impact the daily routine of locals? For example, going on a bike tour in Belém, or any other area with bike paths, makes sense and chances are you’ll come across many locals running or on their bikes as well. Going on a bike tour in Alfama, however, seems a bit off, even if you’re part of a small group and you’re riding e-bikes. The same goes for segways, scooters, and sitgos (which is a segway with a seat). Another example that should raise all sorts of red flags, tours that include a ticket for one of the funiculars (Bica, Glória, and Lavra) or tram 28. All those are means of public transport and can’t be used as part of a tour, nor advertised as such. Can a tourist use the same public transportation as locals? Of course. But a guide can’t or shouldn’t use one on their guided tour. Some people claim it’s illegal for a guide to do it, but I’ve researched and couldn’t find a law that states that. The mobility issue is about us as tourists taking up the place of locals in public transportation or making their trip from point A to point B take twice the time because a bike tour is causing a traffic jam. Picking or suggesting tours in Lisbon is not easy for me. First, because I’ve been on Lisbon guided tours as a local, never as a tourist. And even if I am learning something new about the city, I’m never truly seeing it from a one hundred percent fresh perspective. That said, I do try to apply the same three guidelines I mentioned above before picking a tour or deciding to accept the media invitation to go on one. So the following tours aren’t free, they somehow support local businesses, and they have a minimal impact on locals’ mobility. They’re also tours I’ve been on and wrote about on the blog, so in each section, I’ll include a link to the blog post for you to read the full review. A kind reminder that prices and content of the tour may change over time, so please always refer to the tour’s official website for updated information. Although many parts of Lisbon are walkable, covering the whole city in one Lisbon walking tour is probably a stretch. Most tours will cover the old town, Alfama, Graça, and Mouraria, but most of them don’t follow a theme. Now, I don’t have anything against generic tours but, to be honest, you’ll be better off doing it on your own with the help of a Lisbon app or with the information you gathered from blog posts and guide books. My suggestion is, if you’re going to tackle the seven hills of Lisbon on a guided walking tour, it better be a learning moment with an expert. In March 2019, and if you already follow me there you may have seen it on my Instagram, I took the African Lisbon Tour twice. I went alone for the first time and on the second time, I took my son who was very much interested in learning about a side of History we don’t talk about in school. My initial goal was to write a complete review of the tour, but I soon realized that you get much more from going on the tour yourself and bonding with your fellow tour-goers. Naky Galo, the tour guide, not only found a topic no one else was addressing on a tour, but he continues to study and research about the African presence in Lisbon since he first started this project in 2014. The tour typically ends with a family dinner at a small, family-owned restaurant serving mostly food from Cabo Verde. You don’t have to stay for dinner, but I strongly advise you to. Dinner is not included in the price of the tour, but it’s worth it. I’ve been (affectionately) labeled as a “functional eater” by close friends, which, I assume, puts me on the opposite side of a foodie. I prefer sweets to savory food, and I typically eat with the sole purpose of not starving. 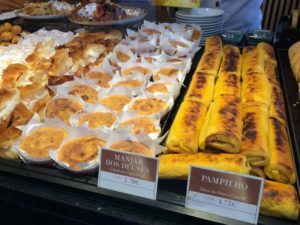 So, my suggestions for Lisbon food tours are not so much about food as they are about the cultural connection between people, food, and the city. I know there are loads of food-themed tours in Lisbon, some more “authentic” than others (please take this with a grain of salt), and I got a major headache as I scrolled down what looked like an infinite list of food tours on a booking platform. So what popped up during my search? The one “don’t” you should look for on a Lisbon food tour: the word tapas. Tapas are Spanish, in Portugal we eat petiscos. And, no, petiscos aren’t Portuguese tapas, they’re petiscos. Call them bite-sized food or finger food if you will. That said, as a “functional eater” I’ve been to three food tours in Lisbon, so not a bad ratio right? Well, technically two tours and one workshop, but they all involve food and culture, so it’s perfect for me. 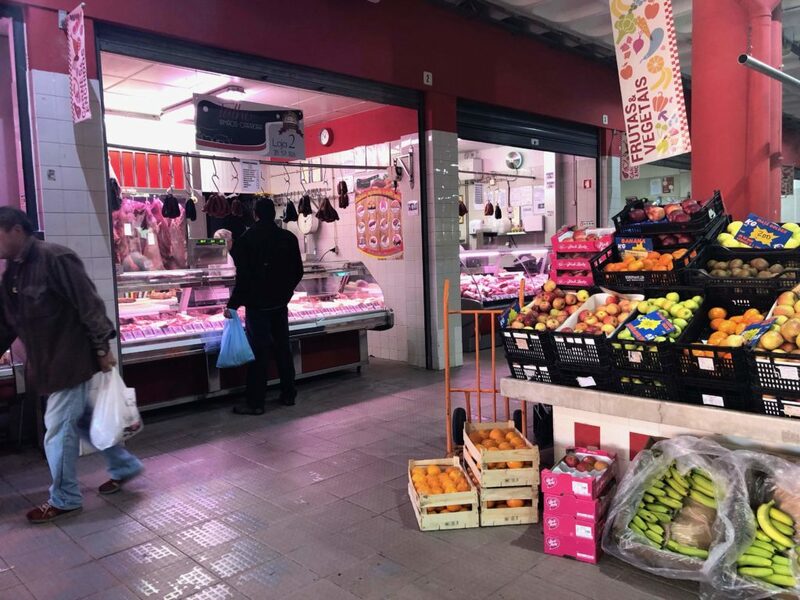 My first food tour in Lisbon was with Lazy Flavors a few months after I started the blog, and they still maintain their core values and I appreciate that in a company. More recently, I partnered twice with my friend Ana Viçoso’s Lisbon Cooking Academy and did a pastel de nata workshop and a Lisbon market tour. Inside market 31 de Janeiro, near Saldanha, in Lisbon. Considering that I live on the south bank of Tagus River, I see Lisbon from the river ferry every day, but it’s not quite the same as seeing the city on a boat tour. When I went on a few tours with Cityrama Portugal to try out their new app, I had to include the boat tour on the route. Which to me is challenging considering I’m prone to motion sickness. I was fine the whole trip, and I’d gladly travel up and down the river all day if I could. There are more companies doing Lisbon boat tours besides Cityrama, but I can only recommend the one I did. Keep in mind this is a small boat when compared to the boats of other companies, and that it’s a hop-on-hop-off tour. Which means you’ll stop at least two times for people to board or get off. It doesn’t take much away from the experience if you don’t mind being part of a hop-on-hop-off tour. Besides, it means if you’re in Belém for example and feel like catching a boat to Cais do Sodré instead of taking the bus or the tram, you can. I’m picky and I’m not much of a wine connoisseur, so for me, the perfect tour has to connect me to the producers and their story. 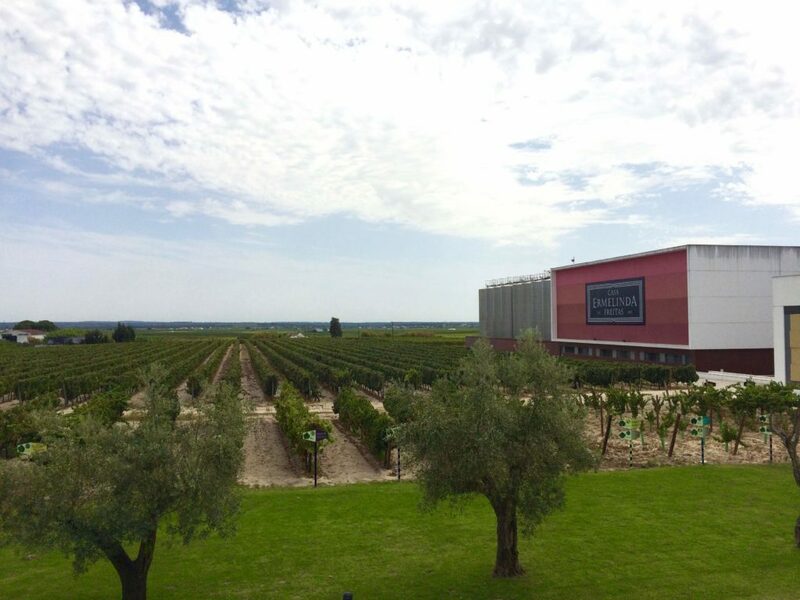 A Lisbon wine tour that just takes you out for wine tasting is not a tour, it’s a tasting. Keep that in mind when looking for one. Most wine producers in the Lisbon region are, fortunately, a one-day trip away and the majority of people travel to Colares in Sintra to go on a wine tour. A few years ago, however, I was pleasantly surprised with the opportunity to do the Rota das Vinhas do Pó (Vinhas do Pó Route). Even if their wines aren’t the best made in the world (*nudge to a friend who knows his wine*), I appreciated their stories. And, well, if you want to go on a wine tour that’s not too far from Lisbon but you don’t want to do Sintra, here’s your chance. I love that tourists love our trams. I wholeheartedly do. They’re such an important part of Lisbon’s identity that even I have the urge to snap a photo of one, no matter how many times I’ve seen them pass by or traveled in one. Trams and tram rails are part of one of my first memories of Lisbon, so my fondness for the mustard-yellow electric cars is deep. And believe me, I understand if every guide book tells you to take a tour on tram 28, you’ll feel like you’re missing out if you don’t. Except tram 28 is public transportation, not an actual tour, and guide books tend to leave that information out. I’m one of the few people to tell you you can actually skip it in Lisbon. 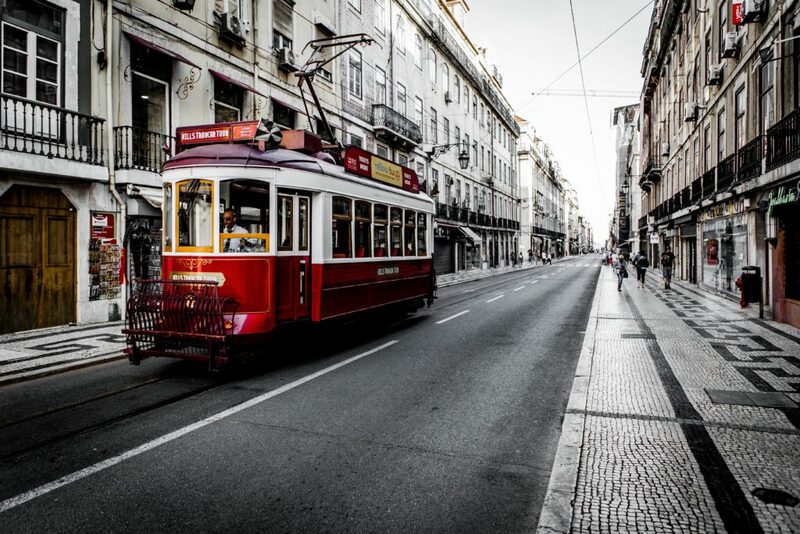 If taking a Lisbon tram tour is part of your list of things to do here, opt to go on an actual tour. Sure, the tour trams are red instead of yellow, but they practically do the same route as tram 28. Besides, if you’re inside the tram does it really matter what color it is? They’re also a lot more comfortable than being crammed inside a tram with other sweaty tourists, and, most importantly, you won’t be taking the place of locals who actually need to use it to travel across town. Alternatively, you can do as Portugalist’s author James did and to the same route as tram 28 does on foot.